After achieving a hat trick at the Good Choice! Quality Food Awards last month, Freshtime UK ended the week on a high by winning another trophy at the Quality Food Awards. The Co-op’s Irresistible Italian Chicken & Pesto Courgetti, produced by the Boston-based firm, won in the Food to Go – Salad category at the 37th annual awards on Thursday 10th November. The Co-op’s Food to Go Account Manager Mel Cushen, New Product Development Manager Amanda Turner and New Product Development Technologist Jodie Dean attended the ceremony with Rachel Marshall and Emily Woolfe from the Co-op at London’s Grosvenor House Hotel. “After the success of the Good Choice! 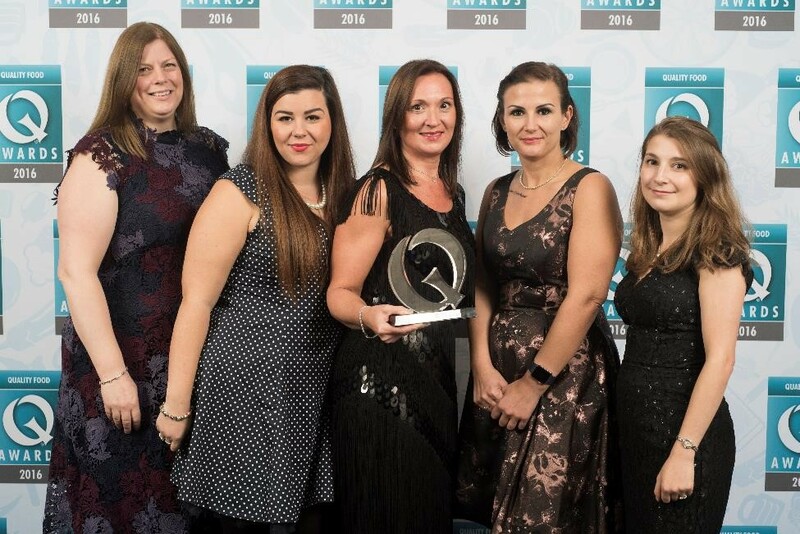 Quality Food Awards last month, where the Co-op also won Food to Go Retailer of the Year, we were excited to join them once again to celebrate yet another win,” said Mel. “These awards are the most prestigious for food and drink products on sale within the UK and give the ultimate seal of approval to retailers and producers alike. The Quality Food Awards provide the chance to be crowned for the best product in specific food and drink categories and are considered the ultimate endorsement of products on offer to consumers.